Dr. Kovalsky is a certified fellow of the Board of Orthopaedic Surgeons and a fellowship trained spine surgeon who specializes in acute and chronic conditions involving the cervical, thoracic, and lumbar spine as well as SI Joint Fusion, adult reconstructive surgery, and total joint replacement. Friendly, informative, humorous. I love this center. This is the third Doctor I've had the pleasure of dealing with as well as the therapy group. Love them all. Very confident in my care. He is very honest and up front. A excellent doctor.I would refer him to a friend if they needed a orthopedic surgeon. Patient-oriented, excellent surgeon, if a patient has a question it goes right to a nurse and then to him. Highly recommend! Dr. Kovalsky is a great dr. But runs behind all the time. Dr. Don Kovalsky has been an associate of the Orthopaedic Center of Southern Illinois since 2001 and fellowship trained in Advanced Spine Surgery. He has special interest in acute and chronic conditions involving the cervical, thoracic, and lumbar spine as well as SI Joint Fusion, adult reconstructive surgery, and total joint replacement. Dr. Kovalsky is a Fellow of the American Academy of Orthopaedic Surgeons (AAOS), the North American Spine Society (NASS) and AO Spine International. His accomplishments include participating in a national study for SI Joint Fusion - iFuse Implant System [SI-Bone]; refining a surgical procedure - Anterior Lumbar Interbody Fusion utilizing allograft bone dowels, and an investigator for Synthes Spine in the use of anterior tension band plates to stabilize anterior lumbar fusions. Dr. Kovalsky has successfully performed hundreds of SI joint fusions and was instrumental in getting exclusive coverage by Blue Cross/Blue Shield for the procedure. 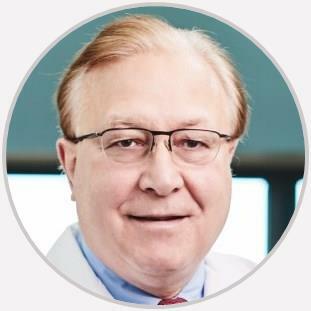 Dr. Kovalsky assisted in pioneering the implementation of Synthes ProDisc™-L Total Disc Replacement and ProDisk™–C Total Disk Replacement procedures. He in association with Synthes Spine, Inc. partnered to bring the latest technology in the treatment of back pain associated with disc degeneration. The researchers and engineers at Synthes Spine have developed the latest technology in disc replacement. Patients who suffer from Degenerative Disc Disease (DDD) and have tried all forms of conservative (non-surgical) treatments for the condition and are now better, now have a choice. The traditional treatment has been spinal fusion where the unhealthy disc is removed and the bones are fixed in position and fused via bone grafts. Total disc replacement is designed to replace your unhealthy disc, resolve back/neck pain and maintain movement. Total disc replacement is a ball and socket implant consisting of two metal endplates and one plastic inlay spacer. The plastic inlay provides the ball that rides in the socket of the upper endplate that is intended to allow motion. The Pro-Disc™-L and Pro-Disc™-C Total Disc Replacement is a new and exciting option for patients who want a choice. Since December 2007, the Pro-Disc™-C total disc replacement has been approved for use in the United States by the FDA after an IDE clinical study. Please visit www.synthesprodisc.com for more information on Total Disc Replacement. SI Joint Fusion With The iFuse Implant System® The procedure used by Dr. Kovalsky is the most common: the iFuse Implant System, developed by SI-Bone, Inc., of San Jose, California. In October 2016, he and the president of SI-Bone, as well as a few other surgeons went in front of HCSC/Blue Cross/Blue Shield Administration and medical doctors and presented data on iFuse and the outcomes they had seen over the past eight years. They fought for their patients to get covered - and now it's exclusively covered. The iFuse is a minimally invasive surgical option, designed to be easier and less invasive than traditional open surgical SI joint fusion. The iFuse Implant System is indicated for sacroiliac joint fusion for conditions including sacroiliac joint disruptions and degenerative sacroiliitis. The procedure typically involves three small titanium implants surgically inserted across the SI joint. It is designed to create a durable construct to stabilize the SI joint. The procedure is done through a small incision and takes about an hour. The surgeon determines the release time based upon post-surgical progress and occupation. Post-operative pain is usually isolated to the incision area. With the iFuse Implant System, there is no need for BMP in conjunction with autologous bone graft, additional pedicle screws, and rods, hollow modular anchorage screws, cannulated compression screws, threaded cages within the joint, or fracture fixation screws. In a randomized controlled trial, 80 percent of the patients that had the iFuse procedure med the strict success criteria, and 90 percent of the patients were satisfied and would have the procedure again. Long-term pain relief and improved function have been demonstrated in three publications, sharing results up to five years. Dr. Kovalsky is participating in a national study for SI Joint Fusion.